MacDailyNews Take: The iPad Pro is the future of mobile personal computing, not the MacBook/Air/Pro. Well put. When I’m working in Graphic, I don’t care where the file is, as long as when I get to my Mac, I can continue in the macOS app. Some more experienced people will never be content with just knowing it’s there, they’re going to HAVE to have a lil’ picture that they can open to see a bunch of other little pictures. It’s what gives them comfort and there’s no amount of discussion that will change that. You realize file systems are like tabs, table of contents and indices in a HUGE binder (storage partition) right? They work by allowing you to organize your files in a manner you see fit. iOS works like a many little binders each held exclusively by a different App w/o the aforementioned organizational tools. At the App level it’s acceptable unless you want to open the same file on multiple Apps. Yes, audio and video files are notable exceptions, think of them as being on a corkboard accessible by multiple media Apps and possibly organized using ‘playlists’. Is the organization focus all around “opening the same file in multiple apps?” Because, in my experience, if you want to do that in iOS, you just “send” the file directly to the other app (in a compatible format) rather than closing one, swiping to the other, tapping it, opening it, then doing “open” and navigating to a file system. I really think it’s primarily about people used to seeing the little icons not being able to see those (and not being able to organize them in the way they see fit). It’s like thinking that you can’t consume media on an iPad without a BluRay player. Sure, there’s some corner cases of content you wouldn’t be able to consume, but it’s not a blocker to the idea of “consuming media”, just a blocker to that one thing. iPad Pro’s may be the future, but workflow isn’t going to allow for it – not for me or tens of millions of other business folk. No mouse? That doesn’t work. Not efficiently. I see people touching their Surface displays and think it’s great ONLY because Windoze track pads have always sucked so badly. Apple’s trackpads are phenomenal. No need to mess up my screen and lose my hands positions on the keyboard, ever. Until iPad gets a real Mac OS level file/directory system, a mouse, a MacBook level trackpad and a keyboard that is as robust and fast as the low-travel MacBook keyboards that are backlit (and one I don’t need to figure out if it’s connected to the laptop as a case, etc…), iPad Pro makes little sense. Oh, and while Surface can bend the display angle to many positions, it can’t be used on a lap very well, just hard surfaces. Can’t use that nonsense on the couch as a laptop, nor does an iPad with keyboard work well at multiple/any angle with the display nor unless on a hard surface… MacBooks do all of this. Stick to Ribbons and Windows, both operate at your speed. Which is still faster than yours . I do generally agree with the MDN take and the theme of th article it depresses me when I read critiques that claim a big disadvantage of the iPad v a laptop is lack of mouse support or a PC like vile system. But many here will agree with those sentiments and it will be a long time for those sentiments to change or more likely replaced by younger less entrenched users. Fact is the iPad has some way to go before it demonstrates true replacements for those PC characteristics it sees as obsolete for mobile, expecially as in the foreseeable future it has to work seamlessly with that incumbent desktop metaphor. Saving or exporting files to wherever you want as an option is vital to most pros but the way that is now being addressed (belatedly) while presently a little rudimentary, is fine by me and can develop while still not breaching the iPad’s principle desire to hide the file system for the user, it just adds to and extends its flexibility to share when required. The mouse is a different proposition however and work needs to be done to make it an anachronism to the user. But the mouse’s precision is sometimes missed though I think pen, speech and even AI will eventually make it mostly redundant but there still seems like more work in that direction, (the new pen shows promise there) and new ways of exercising precise control will be necessary if it is to replace rather than morph into a laptop for presently replacing a cursor with a finger hasn’t been truly mastered. 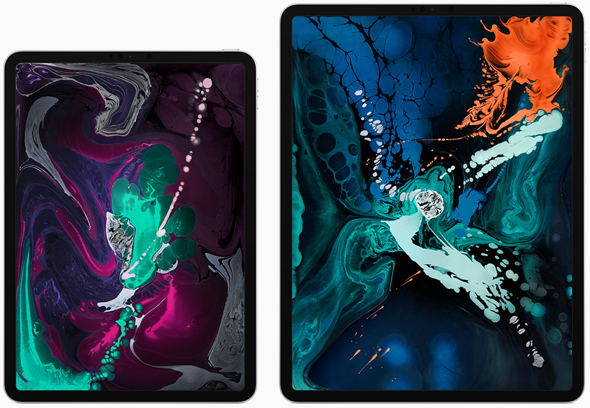 Your points are well taken, but Apple could solve ‘iPad cannot replace a PC’ conundrum (and drastically increase iPad sales) by providing support for mouse/trackpad and extensible storage without compromising the basic user experience in any way. In the interest of simplicity for less savvy users, these features could be disabled by default. For power users who know how to enable them, a toggle in ‘Settings’ could be provided to enable the more advanced features. Apple tends to be very principled (some would say ideological) about these things. To paraphrase Steve Jobs famous comment, Apple certainly has the courage of their convictions. However, at some point, if enough loyal users complain that Apple’s design decisions are getting in the way of the full utilization of the product, Apple should relent and give users what they want. I think loyal Apple ][ users might tend to disagree about whether or not complaining works. There were a LOT of people that likely went to the grave not believing that the horseless carriage would ever gain truly widespread usage. For them, it’s just not as comfortable as sitting at the reins of a horse. And, you get NONE of the non-transport related bonus benefits of horse ownership. MacDailyNews’s take is spot on, nuff said. Sounds like you are attempting to stifle or maybe even put a stop to the ongoing conversation. All I require is multiple documents from the same app open at the same time. As of now I must use my brand new MacBook Air for that. I have given 2 MBAs and one MBP to my nephews in high school and college, and when they visit and ask me questions about their laptops, I find that they have no idea about file organization. It just doesn’t matter to them. It will if and when they start working on actual projects. High school and college stuff is light years from real world. Not saying that your nephews are like that at all, but from the perspective of a teacher who has several “genius world class gamers”, I have a problem understanding why they can’t even save a document, let alone work with file organization. Apple could adopt a ‘file system’ that uses ‘tags’ instead of folders to organize files for projects, etc. Google Mail has the right idea of having a single storage area and using multiple tags/labels to organize items into multiple ‘folders’ while only having a single copy existing. If you want a separate copy, simply create a new item, copy the contents and place a tag/label on it. The only thing preventing iOS Apps from doing this is their fundamental design of each App managing its own exclusive file storage ‘area’. When I can rip a BluRay of a movie and transcode it for my Apple TV with an iPad Pro give me a call. And do it in the background while I am doing 5-6 other things like streaming live TV, playing music, chatting online, looking at the New York Times, checking email, etc. You can do that with just about any desktop Mac currently sold. I have an iPad Pro and the pencil. I use the Pro on the road for content consumption, but rarely when there is something to do that requires a real computer. The pencil is gathering dust in my glovebox, I think. Cannot imagine why anyone would prefer an iOS device for anything serious. Yes, unless your iOS devices are using custom designed company apps which only require one touch toggle on/toggle off functions and the very basic one step functions. Beyond that, anything requiring true multi-tasking in different apps and documents is a different universe which they apparently have not seen.